“I am the true vine, and my Father is the vinedresser” (John 15:1). Continuing the Farewell Discourse, Jesus speaks to the eleven as the hour of His death draws closer. As we saw yesterday, Jesus’ ministry is now focused on the disciples. Along with this comes a new emphasis regarding His relationship with His people. Christ increasingly presents Himself as being at one with them, thereby reassuring them of His presence and challenging them to abide in Him — without whom abundant life as the new Israel would be impossible. It is during this farewell discourse that we come to the seventh “I AM” statement, “I am the true vine” (John 15:1). In order for Jesus to become the Mediator for His people, He had to become so identified with them that when you see Jesus, you also see His people. The vine, as a horticultural metaphor, demonstrates Jesus’ identification. The Bible says in Psalm 80 and Isaiah 5 that Israel is the vine and that God is the vinedresser. When Jesus says “I am the true vine” He is really saying, “I am the true Israel.” He is saying that He is the embodiment of all that Israel should be. “Should be” because, as is well known, Israel did not faithfully execute her mission as God’s representative. Her sins and lack of repentance prevented her from being a faithful witness (see Ps. 80 and Isa. 5 again). But Jesus is not like that. 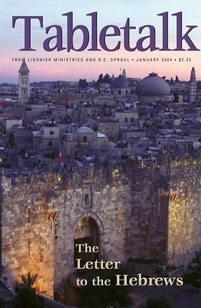 He is the true Israel, and He faithfully executes all of God’s purposes. Jesus goes on to explain that He is a vine whose branches must bear fruit or they will be cut off by the Father (John 15:2). The branches that do bear fruit will be pruned to increase their yield (15:2). The branches of the true vine, like the branches of a grape vine, must be pruned so that the harvest will be more abundant. Jesus is the vine and we are the branches (15:5). Through hardship, discipline, and suffering, we are pruned so that our fruit will be ever greater and ever sweeter. The Father prunes us if we abide in Christ. Those that do not abide are the branches that are cut off (15:6). If we abide in Christ and bear fruit we can know that we are truly His. Some are cut off because they are not His — they try to attach themselves to Christ without abiding in Him through faith. But those who bear fruit are His, and they have been cleansed by Him (15:3). They will not be cut off. Those who bear no fruit are just dead wood and were never truly a part of the vine to begin with. We know that a man is justified by faith alone, but the faith that justifies is never alone. The Bible again and again tells us that true faith evidences itself in the fruit of good works. Examine your faith to see if it is producing good works and thank God for the pruning He does to produce them.